Bank Jobs In West Bengal | Allahabad Bank Recruitment 2012-13 For IT Advisor jobs| Apply Before 04.02.2013. Are you interested to work in Allahabad Bank? Did you see the details of Allahabad Bank Recruitment 2012-13 For IT Advisor , jobs ? Then Be Ready… to take a jump to Bank Jobs in India through Allahabad Bank Jobs across India. Nice… please go through the details of Allahabad Bank Vacancies of IT Advisor posts as under. Educational Requirements: Candidate must be Graduate in any discipline with CAIIB. Any degree / diploma in the field of Computer Science / IT would be an added qualification. Experience Requirements: 1. Minimum 20 years experience of working in different capacities in Banking with IT exposure in Public Sector Bank. 2. Minimum 5 years experience on providing consultancy / advisory services in implementation of CBS software / other IT related projects in any Public / Pvt. Sector Banks in India. How To Apply: Application has to be submitted in the given format, available on Bank’s website in Recruitment link. No application shall be entertained beyond the stipulated date. Ineligible /incomplete application shall be rejected. The application superscribed as “Application for the post of IT Advisor” should be addressed to : The General Manager(IT), Allahabad Bank, DIT, Head Office, 2, N.S. Road, Kolkata-700001. Bank Jobs In Tripura | Tripura Gramin Bank Recruitment 2012-13 For (222) Officer Scale-I,II,III and Office Assistant (Multipurpose) jobs| Apply Online Before 14-01-2013. Are you interested to work in Tripura Gramin Bank ? Did you see the details of Tripura Gramin Bank Recruitment 2012-13 For ( 222) Officer Scale-I,II,III and Office Assistant (Multipurpose) jobs ? Then Be Ready… to take a jump to Bank Jobs in India through Tripura Gramin Bank Jobs across India. Nice… please go through the details of Tripura Gramin Bank Vacancies of ( 222) Officer Scale-I,II,III and Office Assistant (Multipurpose) posts as under. How To Apply: Candidates are required to apply online through Bank’s website http://www.tripuragraminbank.org from. No other means/ mode of application will be accepted. Bank Jobs In Chhattisgarh | Surguja Kshetriya Gramin Bank (SKGB) Recruitment 2012-13 For (43) Officer Scale-I,II and Office Assistant (Multipurpose) jobs| Apply Online between 07/01/2013 to 18/01/2013. Are you interested to work in Surguja Kshetriya Gramin Bank (SKGB) ? Did you see the details of Surguja Kshetriya Gramin Bank (SKGB) Recruitment 2012-13 For (43) Officer Scale-I,II and Office Assistant (Multipurpose) jobs ? Then Be Ready… to take a jump to Bank Jobs in India through Surguja Kshetriya Gramin Bank (SKGB) Jobs across India. Nice… please go through the details of Surguja Kshetriya Gramin Bank (SKGB) Vacancies of ( 43) Officer Scale-I,II and Office Assistant (Multipurpose) posts as under. How to Apply : Apply Online at Surguja Kshetriya Gramin Bank website from 07/01/2013 to 18/01/2013. Are you all waiting for Government Jobs In India 2013 ? Are you the contestants of white-collar Bank jobs 2013? Are you ready to step into Govt Jobs for 2013 through various Bank Job Recruitment ? 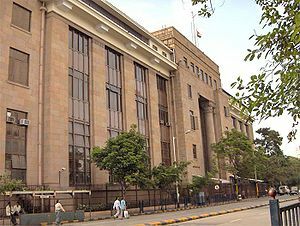 Then Be Ready… to take a jump to Bank Jobs in India 2013. Nice… please follow the details of IBPS Bank PO Exam 2013 as under. A Probationary Officer’s post is the entry to the most coveted managerial positions in the banking industry. A P.O. starts as a trainee officer in the Junior Management Grade Service (JMGS) of the bank and can rise to the highest grades of the bank in his career becoming a General Manager, a Director or even the Chairman of the Bank. Needless to say, a Bank PO’s position is seen with tremendous respect in the society as it secures a life long opportunity to grow, prosper and serve the society in a senior and responsible position in the Banking industry. And, therefore, every Bank P.O. Exam attracts lakhs of talented graduates, post-graduates and professionals to compete for a few hundred or thousand vacancies notified by the banks. Institute of Banking Personnel Selection – IBPS conduct Common Written Examination (CWE) for selection of personnel for Probationary Officer in the Public Sector Banks. East African countries of Kenya, Uganda, the United Republic of Tanzania (formerly Tanganyika and Zanzibar), Zambia, Malawi, Zaire, Ethiopia and Vietnam with the intention of permanently settling in India, provided that a candidate belonging to categories (ii), (iii), (iv) & (v) above shall be a person in whose favour a certificate of eligibility has been issued by the Government of India. The corrected scores obtained by each of the candidates will further be converted into standardized scores following Linear Conversion Method. If the total for a test is in fraction, the marks obtained will be rounded off to the nearest integer, i.e. if fraction exceeds by 0.50 or more, it will be rounded off to next higher integer. Each candidate will have to secure a minimum standardized score in each of the tests to qualify in the written examination and to be considered for vacancies in the participating banks. The cut-off points will be decided based on the average (Average – ¼ Standard Deviation for General category candidates and Average – ¾ Standard Deviation for Reserved Category candidates). IBPS will print the Score Cards for each of the qualifying candidates and will send the same by Registered/ Speed post to each candidate at the correspondence address specified in his/ her online application. The scores awarded to candidates, who qualify in CWE-PO/MT-II, will be valid for one year from the date of issuance of the scorecard and will be considered for recruitment exercises during that period. Candidates who have been declared as qualified in the previous CWE (I) are also permitted to apply, if they wish to improve their scores and/or keep the scores valid for a further period of 1 year from the date of issuance of scorecards of this CWE (CWE-PO/MT-II). The duration of descriptive type test will be 1 hour max. marks – 50 and the test will be of “Test of English Language (Comprehension, short precis, letter writing & essay)” Descriptive test paper of only those candidates will be evaluated who are adequately high in percentile ranking in each of all the four objective tests and have scored overall aggregate 40% and above in case of General category and aggregate 35% and above in case SC/ST/OBC/PWD category. The qualifying marks for descriptive test will also be overall aggregate 40% for General category and overall aggregate 35% for SC/ST/OBC/ PWD category. The merit list of written examination will be based on the aggregate of the marks obtained by the candidates in objective and descriptive tests.